My brother-in-law, Mark, turns 60 today. We will officially celebrate with him in a couple of days with a hot air balloon flight over Cappadocia. 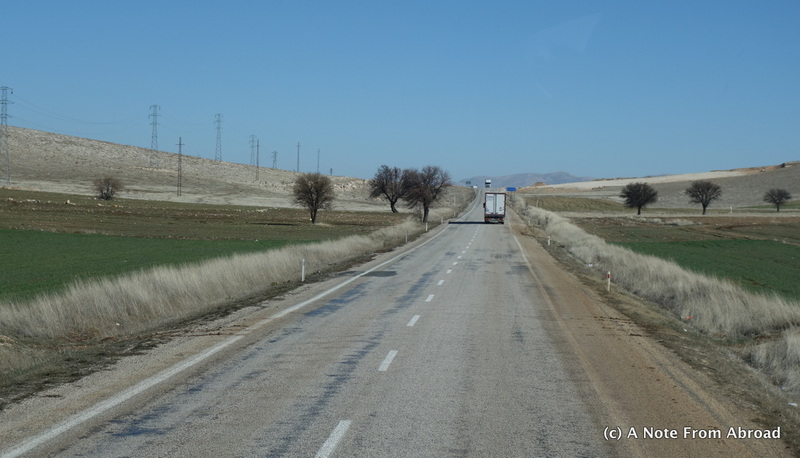 Leaving the coastal Aegean area, for a 5.5 hour drive toward central Turkey, the landscape slowly changes. Cotton fields and olive trees give way to fruit trees ~ sweet and sour cherry, quince, plum and pear. Further along the way the main crops become sugar beets, lentil, chick peas, opium poppies, and potatoes. The opium poppies are regulated and used for the pharmaceutical industry. 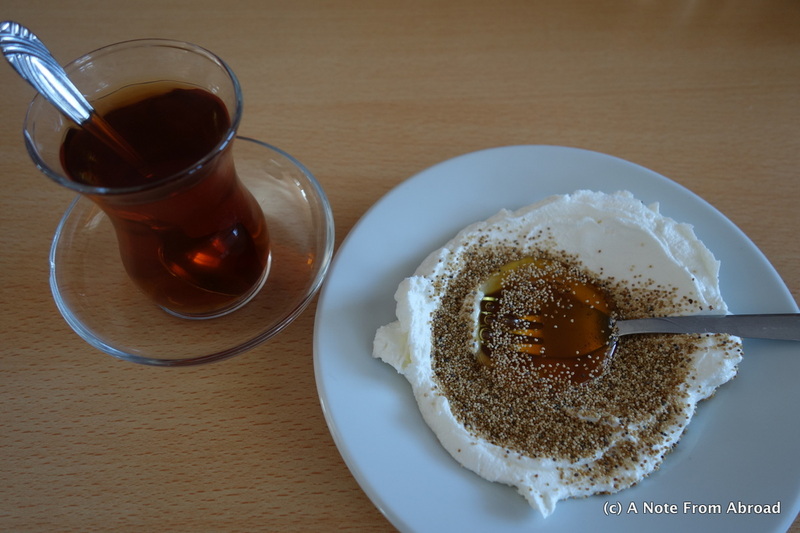 At our morning coffee stop we had the option of trying a local specialty ~ fresh yoghurt made from goat milk, with a large dollop of honey and then covered generously with opium poppy seeds. I really enjoyed the combination of the tart yoghurt, sweet thick honey and the crunch of the poppy seeds. 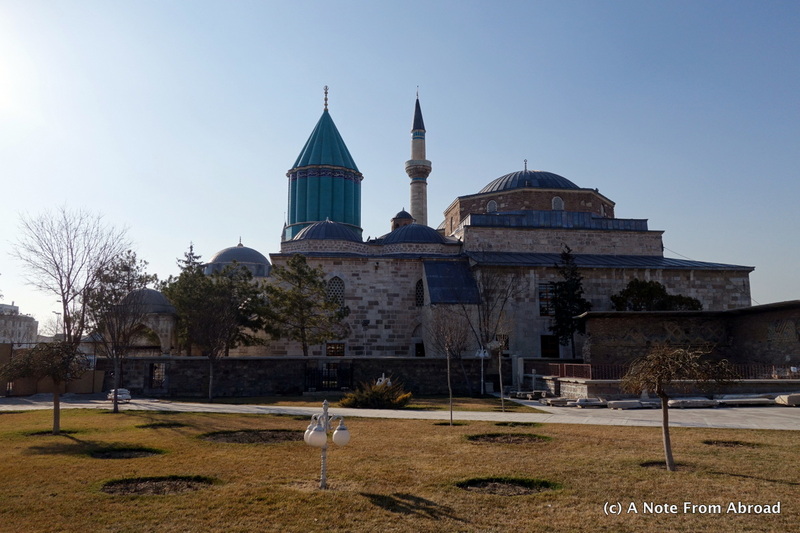 On our itinerary is a visit to the Whirling Dervish Museum (Mevlana Museum) mid-afternoon. The Whirling Dervish group is one of many Islamic sects in Turkey, so our guide, Erdal, took the opportunity during our bus ride to give us more information about the Islamic faith. Islam was started in the 7th century AD by the prophet Mohammed at the age of 40. He received revelations from the angel, Gabriel, over a period of 20 years which were written down and became their holy book, the Koran. The Turks were one of the earliest to adopt Islam and 99.4% of the country are Muslims. They are called to prayer five times a day. Friday is the Holy Day, and Friday noon is the most important prayer time when most go to the mosque. Ramadan (fast from sunrise to sunset) for 30 days to discipline your soul and desires. It is followed by a sugar feast for three days where you visit your family, the elderly first then see friends and bring chocolates or baklava as gifts. Feast of Sacrifice occurs two months later. Live animals are sacrificed and divided in to three portions. The food goes to your family, neighbors and the needy. This is also followed with visits to elderly family, friends and neighbors. Many of the younger Turkish people are not following these customs. Boys are circumcised usually around 6 or 7 years old or even up to 10. They are dressed up as a prince, and a party is thrown in their honor. After a day of celebrating, that evening the surgery is performed at a local hospital. Women wear a headscarf to cover the head and hair. None of the women wear burkas in Turkey. Girls start wearing a scarf when they are 14-15 years old. 50 – 55% of the women in Turkey follow this practice. Rumi, followed by his son, were the founders of the Whirling Dervishes. 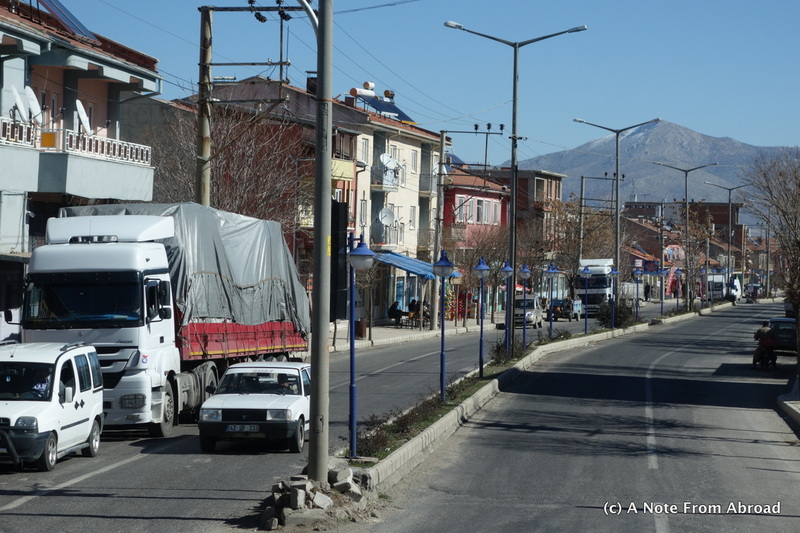 While driving to the hotel, we saw a vehicle with a draped coffin in the back and found out that Muslims are only transported to the cemetery in a coffin but are not buried in a coffin. They are wrapped in light cloth and buried directly in the soil about six feet deep. They do not do cremations here. Our hotel this evening is the Otel Ozkaymak in Konya (Click on Konya to see a map of where we are in Turkey now). 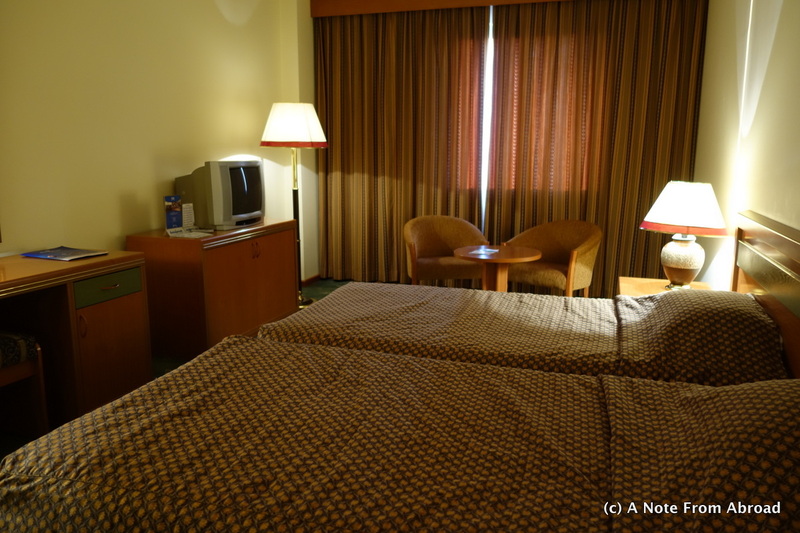 It is an outdated, basic hotel in town, but comfortable and will be fine for one night. Gratitude Moment: Today I am grateful for religious freedoms. I enjoy learning about the many religions around the world and seeing the similarities and the differences of each. I can find a common thread in many of them and can respect that the path to redemption, peace, fulfillment, is both personal and individual. Have you seen the Whirling Dervishes or have this on your wish list? 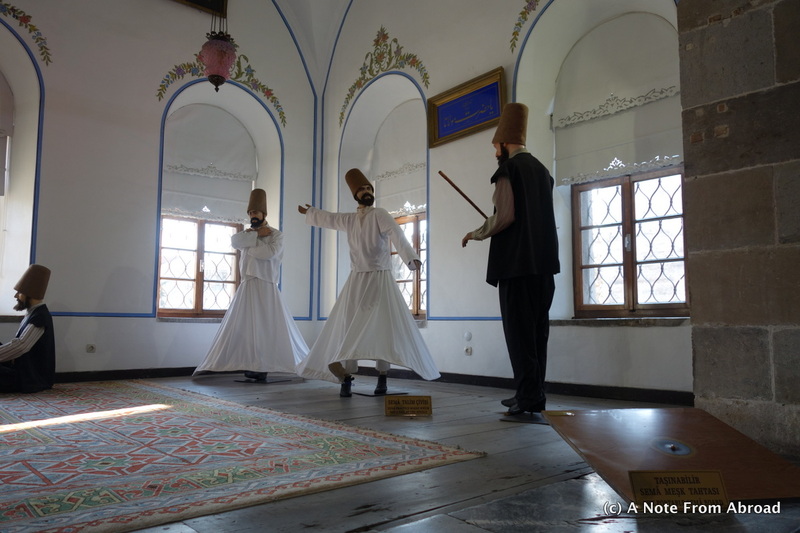 This entry was posted in Asia, Europe, Photography, Turkey and tagged Konya, Mevlana, Museum, Photography, Travel, Turkey, Whirling Dervishes. Bookmark the permalink.